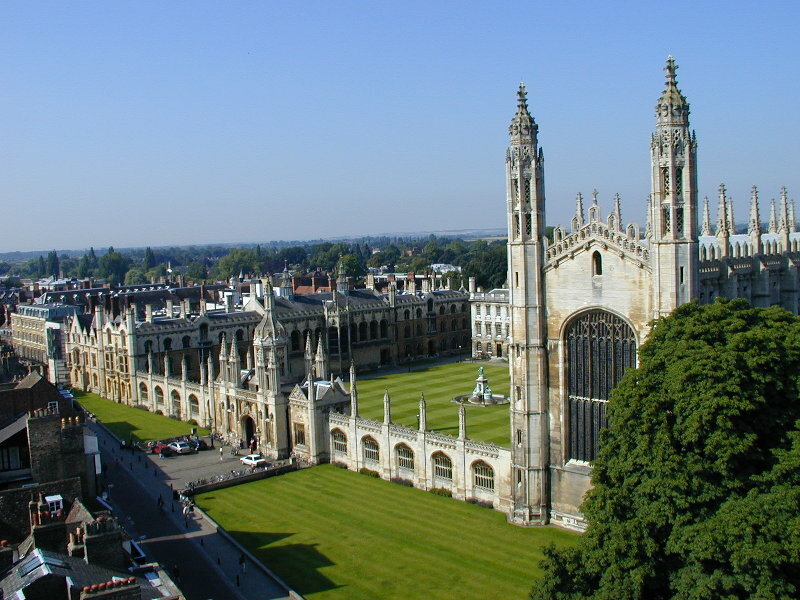 This is the view southwest towards King's College. In particular the King's Chapel is at the right, with the Gibbs' Building just visible behind it, and to the left of that the King's dining hall. At the front of King's is the gatehouse and screen. The road in front of King's College is King's Parade.